Atoy-maker (Manolis Mavromatakis) who is living alone in a cabin upon on a mountain decides to create a wooden puppet. 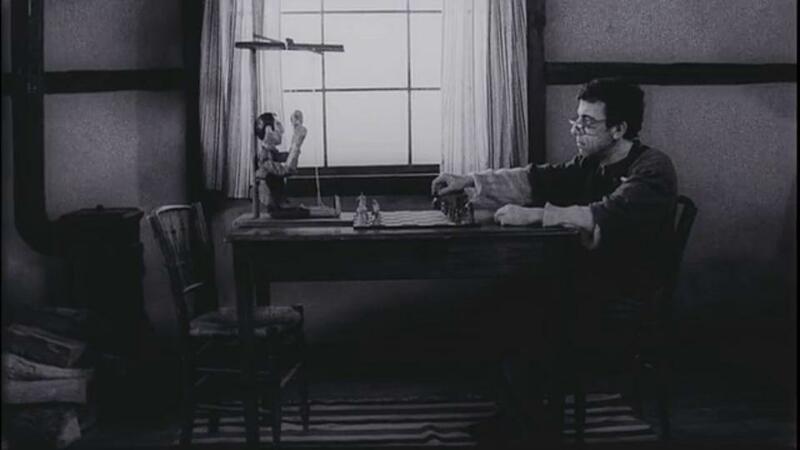 He is an avid chess player so he believes that the puppet could be an excellent opponent. While the toy-maker is trying to educate and train his puppet to the rules of chess, he discovers that his creature is more powerful than he could ever think. The puppet, that also bears some striking similarities in appearance to the toy-maker, starts to learn how to play, but that will be the point where the reality is starting slowly and intriguingly to blend with fantasy. Marionette (2007) is Minos Nikolakakis’ third short film and the director is creating a fairytale that has some obvious traces of reality. Undoubtedly his story is based upon Carlo Collodi’s classic children’s book The Adventures of Pinocchio (1883), but Nikolakakis is clearly using it just as a preface. The puppet, which is also the toy-maker’s alter-ego, as it comes to life, is trying to express its – or his – inner feelings and needs, and especially the need to escape and probably feel free. Despite the fact that everything initially seems balanced on who is manipulating whom, then the game changes. 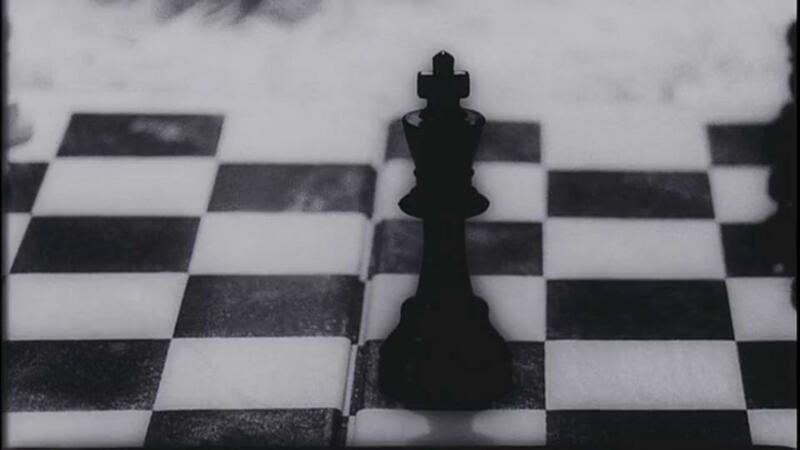 Just as it happens in chess, or in life, even the best player could make one wrong or unpredicted move and lose the King. That fragile balance of exchanging powers between the puppet master and the puppet itself becomes even more obvious with the unexpected ending, which is open to interpretations and could create more questions on the same field. On artistic level Marionette doesn’t hide some of its cinematic influences but everything is done in a subtle and profound way. The frightening and secluded cabin upon the hill in combination with the alter-ego references and the horrifying shadow games could offer to the viewer a glimpse of Norman Bates’ house in Alfred Hitchcock’s Psycho (1960). Moving to the austere minimal interiors of the toy-maker’s laboratory and home, the scenery is totally geometric and the chess pattern is predominant. Everything is depicted through Dimitris Theodoropoulos’ heavily grainy black and white cinematography and this fusion could easily work as an excellent homage to David Lynch’s Eraserhead (1977). Furthermore. that image alone offers a clear and unperplexed touch of surrealism to the whole story. Apart from the aesthetic similarities, Nikolakakis is also creating a seemingly chilling and horrifying dark atmosphere, despite that his only natural tools are a wooden puppet, some pawns and the shadows. Marionette is a dark tale that comes closer to reality or a dark reality that touches the edges of fantasy. Through its minimalistic and gloomy approach Nikolakakis doesn’t leave his heroes to escape to any of these evidently contradicting worlds. For that reason, the director is forcing his heroes and inevitably the viewers to live in a small theoretically independent world or at least to delude themselves that they could feel free in their own but predestined secluded lives. Vassily Sigarev's debut feature is a raw violent drama of the destructive relationship between a mother and her daughter. A masterpiece of the Russian New Drama. Renato De Maria creates an unconventional and extremely minimalistic dramatized documentary that explores the most violent thirty-year criminal period of post-war Italy. A visually impressive and highly emotional coming-of-age film by Naji Abu Nowar, set in the Jordanian desert just before the Arab Revolt. Orizzonti Award for Best Director at the 71st Venice Film Festival. I am here and I don’t know why. There has always been violence in art and many psychiatrists believe that it serves as a catharsis rather than a model.